Omen 25 is a 24.5-inch gaming monitor from American PC-maker HP, and comes with a full HD (1920 x 1080) resolution. At $280 MSRP in the US, its price is a bit on the higher side when compared with other devices with similar specifications, but the company believes it offers something that many of its competitors lack. 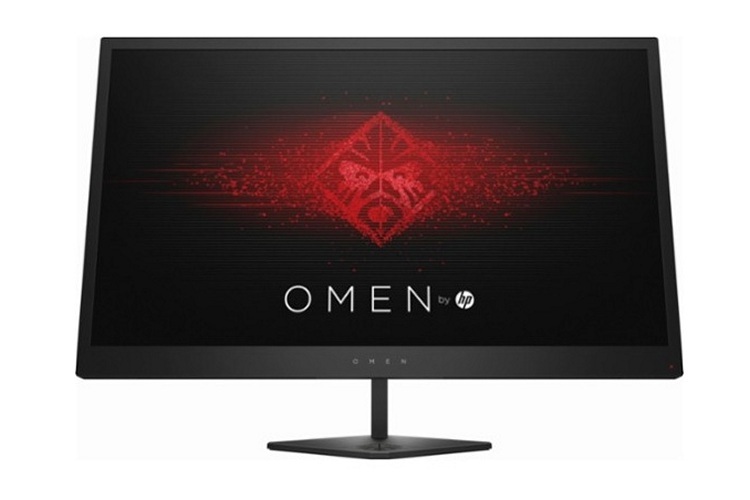 While most monitors at this price-range offers a 120Hz refresh rate, HP claims that the Omen 25 offers 144Hz. While that sounds enticing enough for gamers, at least one Redditor is claiming that the monitor doesn’t actually offer the higher rate that the company claims. At least, not without issues, anyways. That’s according to Redditor nikopikoo, who is now accusing the company of running a ‘scam’ by advertising the Omen 25 as 144Hz in spite of skipping frames at higher refresh rates. The post has received hundreds of comments, and has reached the top of subreddit r/pcmasterrace, the largest PC gaming community on Reddit with roughly 1.3 million members. 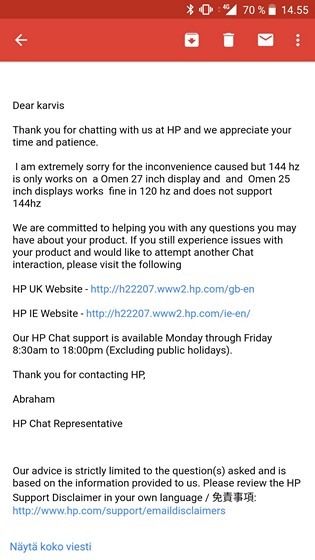 nikopikoo claims to have contacted HP support, wo told him the device doesn’t actually support 144Hz after all. As can be seen in the supplied screenshot, the HP rep seemingly said that the Omen 27 supports the higher refresh rate, while the smaller model only supports up to 120hz. However, when he posted about that to HP Support on Twitter, the company’s official Twitter account contradicted its own support rep by claiming that the device in question actually supports 144Hz refresh rate, but only over DisplayPort, and not HDMI. @Ni3mju Hi there! The support rep made an honest mistake. The OMEN 25 supports 120Hz on HDMI 2.0 and 144Hz via DisplayPort. We'd like to get in touch with you ASAP to figure out what's going on. Don't worry, we'll make things right! Either way, according to the OP, the monitor is still working fine at 120Hz, which isn’t half bad, given most ‘regular’ monitors run at 60Hz max. However, advertising a 120Hz monitor at 144Hz just because it can technically run at those settings under some circumstances, is something that is now getting HP some serious bad press that could have been so easily been avoided.